Many listeners have a love/hate relationship with the New Age genre, but if you’re a fan then this one is probably already in your collection. If not, it should be. Under the Moon was originally released during New Age’s heyday, and Deborah Martin was one of Spotted Peccary’s early stars. Several guests make appearances, including Jon Jenkins (percussion) and Tony Levin (bass), though it’s clearly Martin’s singular vision that guides each of the ten tracks. The title provides a literal description of the thematic idea behind each piece, starting with “Twilight” and ending with “Before Dawn” and encompassing many moods tied to nocturnal experiences set in the American southwest (complete with Native American topics and musical references). Martin does a nice job making sure the musical themes fit the subject, from “Night’s Shadows” vocal evocation of coyote howls to the orchestral majesty of “Midnight.” Perhaps the most memorable track is “Gray Sky,” that first features a recitation of a Martin poem in the Apache tongue followed by Martin singing the prose. Sonically the album is of its time with lots of breathy synths, airy textures, and digital woodwinds (with guitar, bass, and percussion providing additional color). The keyboard timbres occasionally have a dated quality to them, plus I have a hard time detecting any sonic improvement in the production. But for the most part the collection gels nicely and still does a good job transporting the listener to a time and place that calms the soul and fires the imagination. 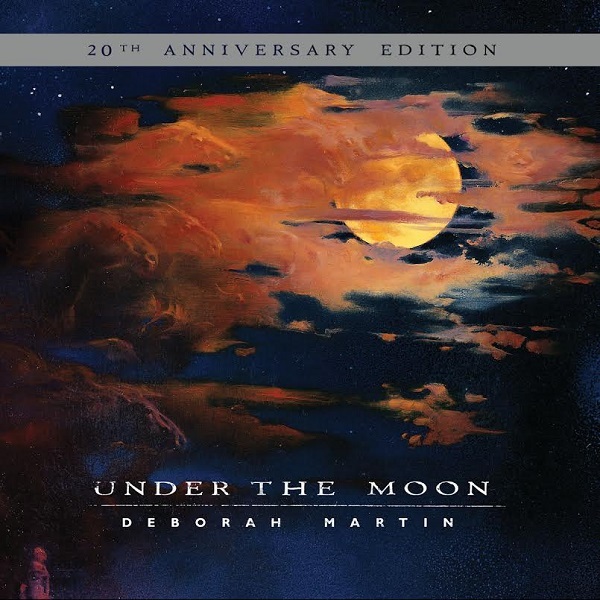 An album based on the twilight-to-dawn theme, Deborah Martin’s Under the Moon shines with an impressionistic delicacy supported by a lush backdrop of multi-synths, textural electric guitars, and acoustic guitar. The overall sound is warm and romantic, full of gradual transitions, like a vignette that frames the bursts of melodic color in a pastel cloak of dreaminess. “Gray Sky” features Apache poetry narrated by Edgar Perry, followed by an English translation sung by Martin, but the balance of the album is entirely instrumental. Tony Levin of King Crimson fame, contributes bass on two of the tracks, and Jenkins and Lackey contribute native American drums and flute to one other. “Nymphea (Water Lilies)” plants a simple and straightforward piano melody in a thick forest of floating symphonic keyboard orchestrations, resulting in one of the album’s most memorable tunes. Using three guitars, bass and synths, “Rainbow Man” paints a powerful image vaguely reminiscent of parts of Lanz and Speer’s “Desert Vision”. Overall, this is probably the most subtle and dreamlike of all the Spotted Peccary releases to date.